← Chocolate or Vanilla, Facebook or LinkedIn: Which Social Media Flavor is Right for Your Business? Sometimes content writing means delving into subject matter you’d never encountered before. And sometimes it means forcing yourself to sit down and write your 500th HVAC article. As challenging as it can be to cover the same topics over and over, it’s necessary, if you want to keep the cats fed. And, when a customer hires a writer, they expect that the blog post they commission will be as fresh as the first one their writer ever wrote. 1. Develop a running theme. Every year, millions tune in for the Treehouse of Horror Halloween episode. If you hit on a feature that is popular with your clients or readers, offer to expand on it and make it a series. 2. But, don’t repeat yourself. The Simpson‘s executive producer Josh Weinstein brags that they’ve never told the same joke twice. Instead of giving the same safe five tips, attack your topic from a different angle. If you find yourself using the same sort of opening every time, change it up with a different format. The variety keeps you involved and aware and your writing fresh. 3. Get amazing guest talent. 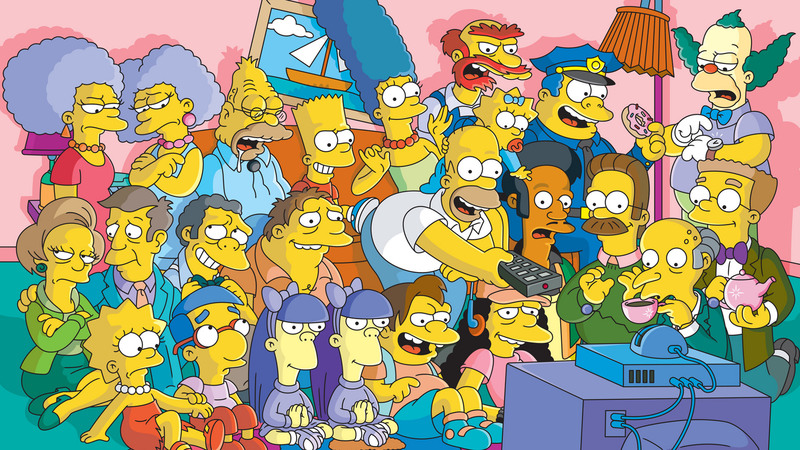 The Simpsons is known for its parade of guest stars. If you maintain a topical blog, invite luminaries from your industry to guest post. You’ll give them wider exposure and give your readers richer material. As fanciful as the stories on The Simpsons can be, character reactions always feel authentic and earned. This sort of honesty is a big part of what has earned the show millions of fans. When you’re writing, false enthusiasm or outright lies can be sniffed from a mile away and will turn off your readers. Every topic can be fascinating when approached from the right angle. If you are having trouble mustering enthusiasm for custom kitchens, for instance, head over to Pinterest and see what custom kitchen fanatics get excited about. If you find flooring deadly boring but have to write about it anyway, go to home improvement forums to see what angles entice homeowners. And, if there is nothing at all you like about a subject, feel free to give it a pass. You’ll retain more clients and get more business by always turning in your best work. Like a long-running TV show, a long career in content marketing means finding ways to keep yourself active, engaged, and excited. Use these tricks and others to keep your writing sharp and your mind in the game. If you want to hire a writer for blogging, articles, ebooks and white papers, Lara S is your gal. Her areas of expertise include marketing, health and wellness, law and food. She takes pride in an ability to tackle new subjects and find the angle that gets readers excited about your content and your product.